Growing up in a house full of achievers has its own share of disadvantages amongst all the advantages. Years of education, fancy degrees, great career starts, impressive salaries, huge bonuses, jet-setting holidays and much more all form parts of the cubic puzzle of their lives. Just their mere presence indicates how on top of their professional games they are. As a young adult, the ambition, the strive and the success seemed so intimidating that I had begun to worry. Every school project, every activity became a non-stop platform to excel. Every time I wanted to over-achieve from the previous time, making a precedent for myself I did outdo myself time and again. And then the most important junction in my career arrived... to choose the stream to move ahead with my professional education. All the businessmen and doctors that surrounded me, with their numerous accomplishments and larger-than-life personas affected me immensely, but in an extremely negative way. My heart and my head desired different streams and I fell prey to measuring Success with ambiguous terms like title, ambition and back balance. I followed my siblings into the medical field only to realise that my mind had taken the wrong decision and my heart just wasn't in it. Never the one to accept defeat, I went on and on pushing myself endlessly. Don't judge, I did great, I was in the top 5% in class, but I didn't enjoy it. I wanted out, I wanted Arts. don't panic. You're allowed an U-turn, start over." Not only did I move to explore my love for the arts but since that day, I've always given myself another direction whenever I needed one. 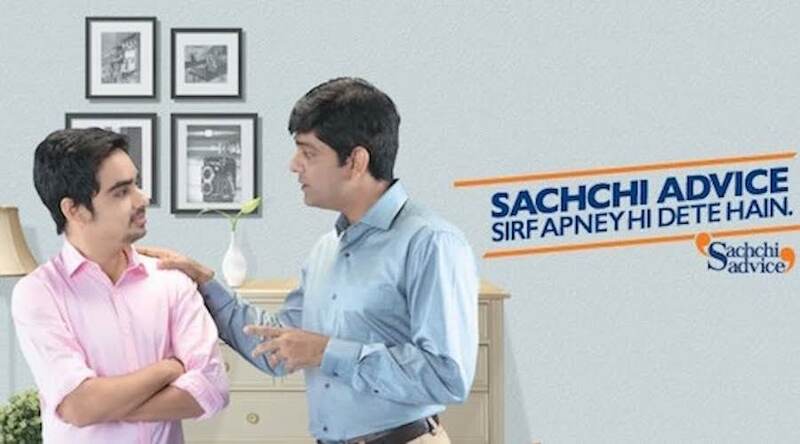 With this little, yet important memory I am participating in the #SachchiAdvice campaign by Max Life. So if you have given or received a life-changing advice, then leave me those motivating thoughts in the comments below.